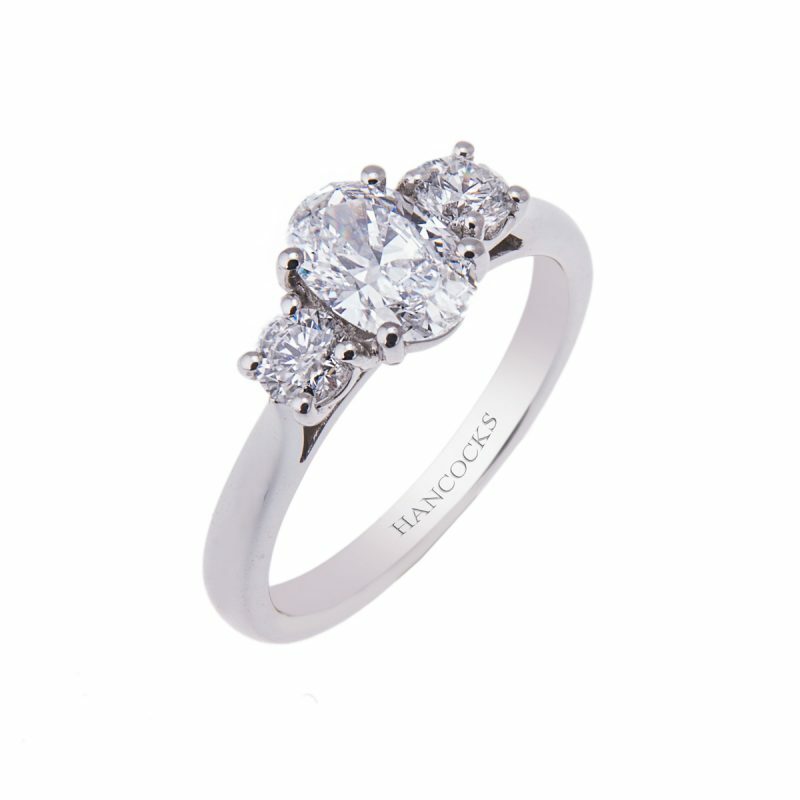 You will feel like a princess with this platinum and diamond claw set three stone ring, given to you with love. 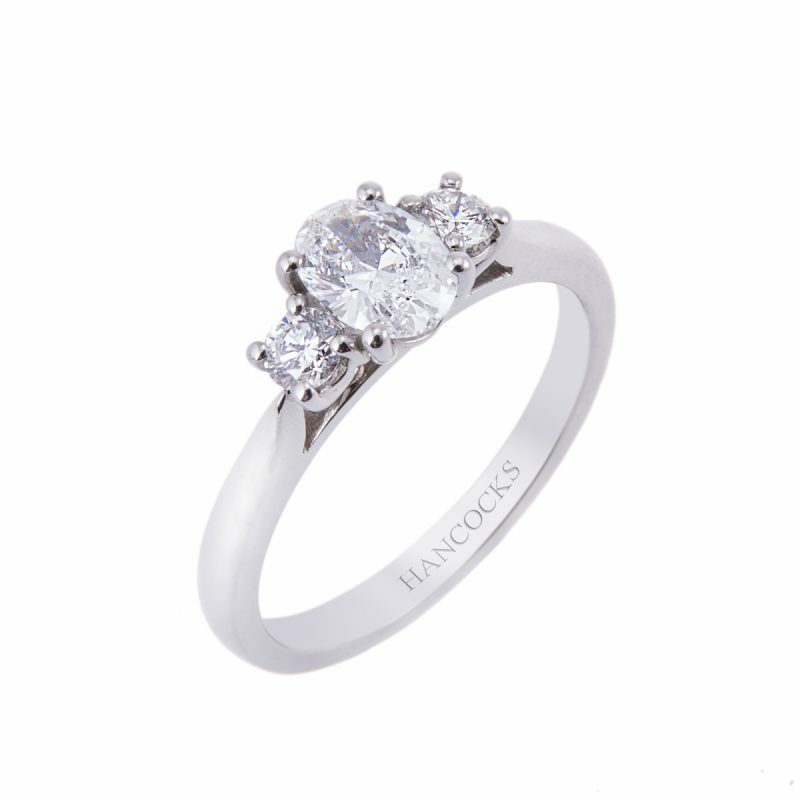 A central certificated 0.40ct oval cut diamond supported on either side by two brilliant cuts. 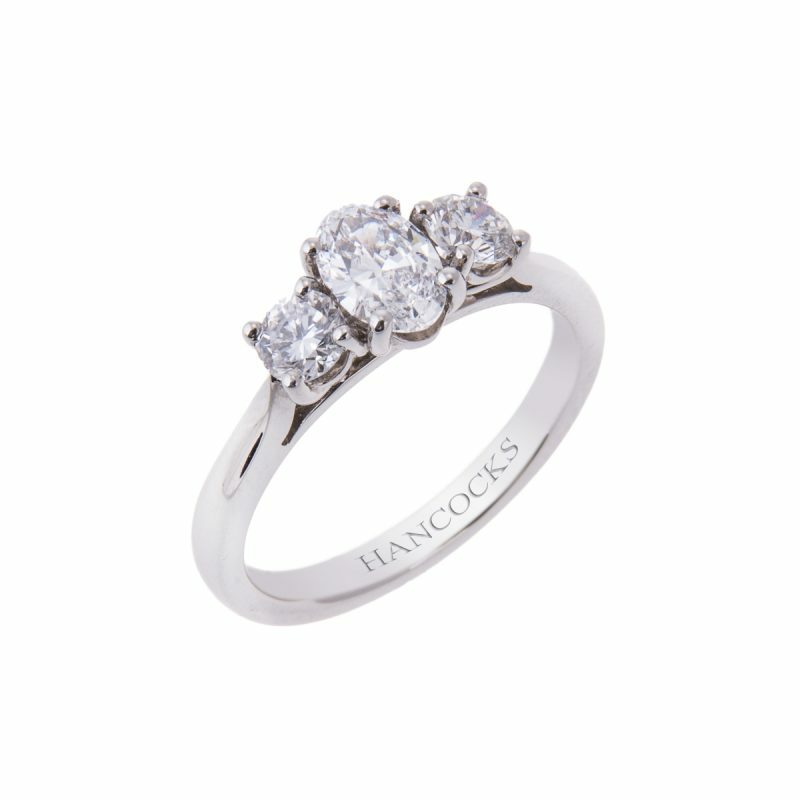 Glass slippers can be broken but this diamond ring will last forever. 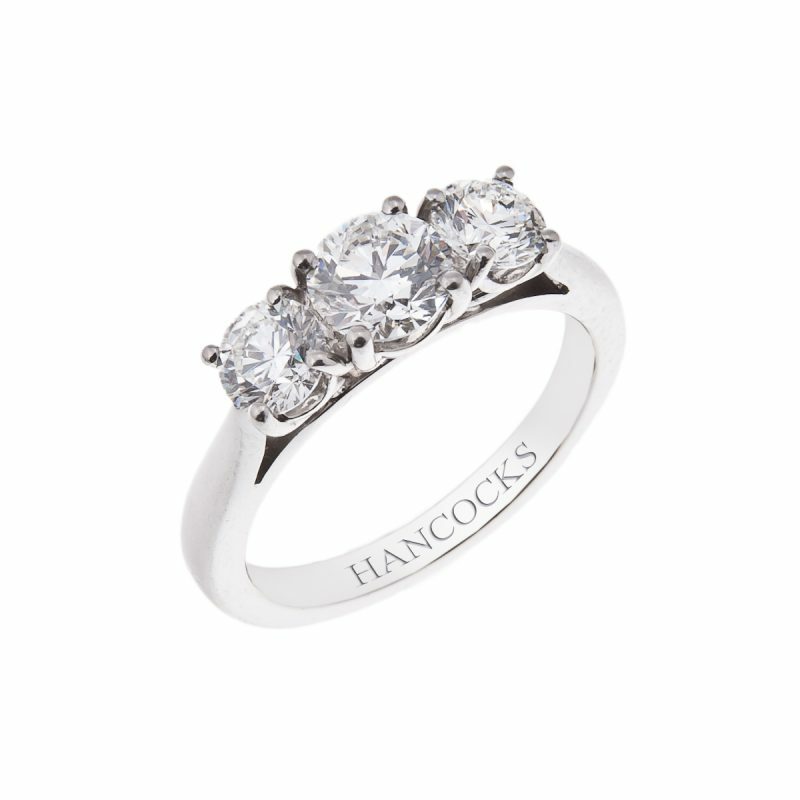 This diamond is perfect, awarded the highest D colour grade by the Gemological Institute of America, world leaders in diamond grading.